This is post-holiday tree recycling at its finest. 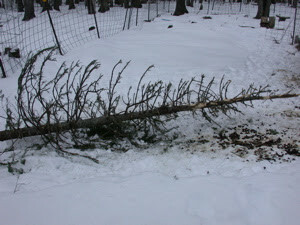 The buck goats get a holiday treat of the Christmas tree, and within a day, they’ve reduced it to a spine. Their breath smells like balsam pillows. Tagged christmas, recycling, winter. Bookmark the permalink.